The demand that we transcend tribalism in public debate sits on the schism line of today’s culture wars over speech, scholarship and art. On one side (loosely, if inexactly, called “the left”), there exists a deep conviction that the social justice sins of the past (and present) make an escape from tribalism impossible—and so the only solution is to carve out well-guarded silos of speech and cultural representation for disadvantaged groups. On the other side (loosely, if inexactly, called “the right”) are those who view those silos as a tool of censorship, as well as an affront to the idea that we all can speak for ourselves as individuals, regardless of skin color, sexual orientation, gender and faith. This conflict took center stage during a recent high-profile Munk Debate in Toronto, which had been billed as a debate about the dangers of political correctness. Two of the biggest reactions from the 3,000-strong audience came in response to Georgetown University’s Michael Eric Dyson (representing “the left”) referring to psychologist Jordan Peterson as a “mean, mad white man,” and then Peterson subsequent pointing to Dyson’s comment as an “example of what’s wrong with the politically correct left.” A primary source of conflict between the two best-selling authors was the extent of white privilege, and the question of how it should be accounted for in public debate, if at all. On that Munk Debate stage in Toronto, Peterson wanted to have a debate among individuals sharing ideas as individuals, not as representatives of their race. Dyson disagreed again and again. The other participants—journalist Michelle Goldberg and performer Stephen Fry—watched on as this increasingly toxic exchange dominated the night. This same schism—over how, and whether, we might be permitted to stand apart from our identity when we converse—dominated another recent clash of popular writers. 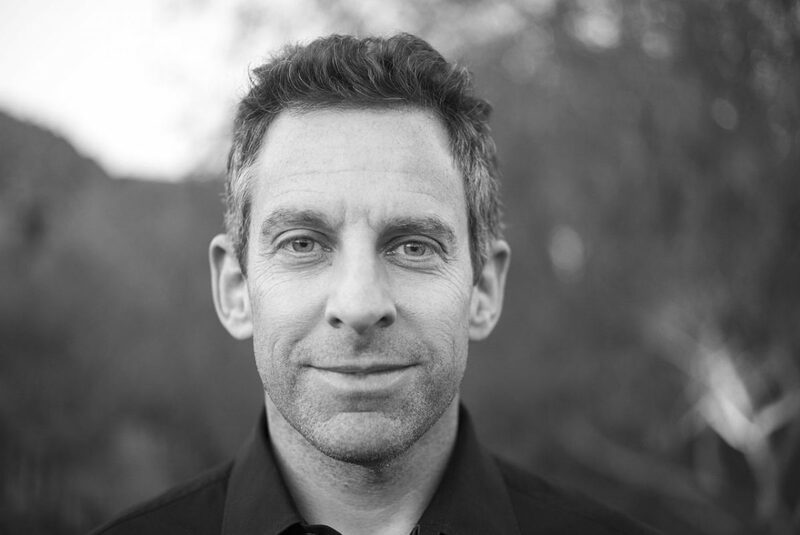 In April, neuroscientist and philosopher Sam Harris devoted an episode of his Waking Up podcast to a debate with Vox editor Ezra Klein on the subject of “identity and honesty.” It was a fiery conversation that still is being widely discussed. Harris rose to popular fame with the success of his 2004 bestseller The End of Faith, which ensconced him among a vocal group of atheists known as the “Four Horsemen”—the others being the late Christopher Hitchens, Daniel Dennett and Richard Dawkins. During a famous 2014 appearance on HBO’s Real Time, Harris had a spirited argument with actor Ben Affleck about Islam, in which Affleck accused Harris of being “gross” and “racist.” Harris reminded him he was trying to discuss ideas, not people. Four years later, at the Munk Debates, one found echoes of that reminder in Peterson’s admonitions to Dyson. The recent Harris-Klein exchange covered some of this same ground, but also tackled an especially controversial case study. Their discussion began with reference to Harris’ 2017 conversation with The Bell Curve author Charles Murray about race and IQ. Specifically, Harris and Klein debated how such conversations should be had—and even whether they should be had at all. As two wealthy, liberal Californians of Jewish background, the two were cognizant of the optics at play. On everything else, they seemed to disagree. Harris clearly believes he is the one seeking common ground: He is articulating a problem that will affect everyone, and seems to want Klein to commit as a constructive partner in dealing with it. But he can’t bring Klein into common cause because that would require Klein to accept the idea that they can even have this kind of conversation outside of the stifling confines of identity politics—a premise that Klein refuses to accept. Although the idea that humans inhabit mutually impenetrable milieus now is associated with avant-garde academics and activists, the left does not have a monopoly on this view. Nativists and far-right extremists—including some of Donald Trump’s most fervent followers—also emphasize the permanence of group difference, albeit with a far more toxic tone. Author Robert Wright, who once debated Harris on the topic of religion in 2010—and from whom I gratefully borrow the term “transcend tribalism”—lent support to Klein’s views on Harris’ tribalism in a recent Wired article arguing that Harris, despite his disavowals, cannot avoid the same sort of tribal thinking that others exhibit. Wright describes Harris as “a case study in the difficulty of transcending tribal psychology, the importance of trying to, and the folly of ever feeling sure we’ve succeeded.” In particular, Wright alleges tribally motivated distortions in Harris’ thinking, such as attribution error marring Harris’ discussions of jihadist terrorism, and confirmation bias in his discussion of race and IQ data with Klein. Who’s right here? Can Harris truly overcome the tribalism he opposes? I don’t know. But what concerns me more than the answer to that question is the way it is being discussed. Harris’ critics are operating on the premise that his claim to speak on behalf of himself instead of a tribe reflects an ideological deceit that Harris is indulging at the expense of people of color and other disadvantaged groups. I strongly reject that premise: It is disadvantaged groups that have the most to lose if it turns out that Klein is right and Harris is wrong. It is instructive, for instance, that Klein feels comfortable homogeneously summarizing the views of those “who do not look like” Harris. Klein purports to channel the views of this group when he describes their putative belief that “this is my experience and you don’t understand it.” Klein apparently knows what they think even without asking them. New voices from these communities that have entered the conversation in recent years—including me—have a role already prescribed for them in Klein’s boxed-in take on identity politics. Harris’ approach is the one that leaves the door open for new voices from all communities to join the conversation with new ideas. Those new voices can argue about race and IQ, just like Harris, and maybe even prove him wrong. And one would hope that when they do so, the skin color of these people, or questions about where their parents come from, isn’t seen as relevant to how they’re heard or what they have to say. By refusing to make his own identity centrally relevant in the conversation, Harris is also implicitly fighting for the right of others “who do not look like” him to be treated as individuals, not ambassadors from a group. The constraining effect of tribalism in public debate was noted by Columbia University’s Mark Lilla in a 2017 New Yorker article. Lilla believes “there’s a kind of essentialism to identity politics, where it means going out into the democratic space, where you’re struggling for power and using identity as an appeal for other people to vote for your side.” The phenomenon can be anti-democratic in its effect, because it enables the most vocal members of an identity group—or those, such as Klein, who claim to be channeling a single viewpoint attributed to that identity group—to speak for others without democratic accountability. An example in Canada, where I was born and raised, would be Kaveh Shahrooz, a Toronto-based free-speech advocate and former advisor to Global Affairs Canada, who’s experienced the downsides of tribalism when asserting himself in Canadian public life. Shahrooz has been critical of two recent Canadian initiatives: a Law Society of Ontario statement of principles requiring lawyers to declare in writing that they would commit to the promotion of diversity, and a Parliamentary motion formally condemning Islamophobia. Shahrooz is a lawyer and an Iranian-born immigrant—so he might expect that his views on Canadian anti-bigotry initiatives will be taken seriously by those on the political left. Yet that hasn’t been his experience. The Atlantic’s Ta-Nehisi Coates had a markedly different take on West’s “free thinking.” Coates argued that West is interested in the “freedom of ‘I,’” and that the musician seeks “liberation of the dictates of that we” whom West identifies with when it comes time to rapping about racial profiling. Coates compared this “thin definition of freedom” to the kind of self-centeredness that makes it “easier to choose the path of self-destruction when you don’t consider who you are taking along for the ride.” In short, West’s error, to Coates, is in his not being responsible to his tribe. This critique is more thoughtful than that of Klein, who simply assumes an orthodoxy into existence before expounding it. Coates, by contrast, questions the morality of transcending tribalism, suggesting it to be an exercise in selfishness, at least for some segments of society. Which, in turn, brings us back to Sam Harris. Like Jordan Peterson, Harris emphasizes the idea of personal responsibility (although they use different language in doing so). Specifically, Harris urges us to fulfill our responsibility to engage in dialogue, learn from others and be open to new ideas. A person can choose to be responsible to his or her tribe, as that tribe is imagined to be constituted. But Harris also gives participants licence to enter public debate as individuals without any tribal identity whatsoever. The emphasis is on personal choice. Harris makes mistakes. For instance, he has wrongly argued in favor of the profiling of Muslims by airport security as an appropriate response to the threat of terrorism. “We should profile Muslims, or anyone who looks like he or she could conceivably be Muslim, and we should be honest about it,” he wrote in 2012. He argued that this is simply the most efficient way to deploy finite security resources, giving the example of the Mormon Tabernacle Choir as a group that shouldn’t receive the same level of scrutiny. This argument seems tribal because it invites concerns about stereotyping and prejudice. Yet the least that can be said for Harris here is that he makes his argument without claiming to have special standing because of his identity (say, as a Jew who might consider himself at special risk of jihadist violence, or as an atheist who might consider himself objective when labeling Islam as dangerous). He doesn’t claim to be speaking on behalf of anyone other than himself. By focusing on the idea of profiling, he opens the door to others to share their own opinions and explain why he’s wrong. He even lends his own megaphone to his opponents. For example, Harris posted to his website a refutation of his own argument by security expert Bruce Schneier, who wrote, “This is a bad idea. It doesn’t make us any safer—and it actually puts us all at risk.” The debate between the two men was about substance, not a toxic exchange about who is allowed to say what. Harris also debated the merits of profiling Muslims with political activist Maryam Namazie, who argued “it is their political stance that determines that they are jihadis and terrorists, and it comes down to their behavior, rather than the fact that they’re brown, or that they’re Muslim, or that they come from Iran, Iraq or what have you.” Namazie’s racial identity came up incidentally in the exchange. But neither she nor Harris made reference to the subject in any way that suggested advantage or disadvantage to one side of their debate. The difference between them was not presented as white atheist versus ex-Muslim, or American man versus British-Iranian woman. Either construction would take away from the notion that ideas and information can pass unhindered between people from different groups, who can change their minds as a result. Over the past two years, as American democracy has become increasingly polarized, one moment stands out as a time when people from across the political spectrum were aligned to transcend tribalism. In June 2016, Donald Trump cited U.S. District Court Judge Gonzalo Curiel’s “Mexican heritage” (Curiel is American) as an “inherent conflict of interest” that would taint his oversight of a lawsuit against Trump University—because Trump had promised to build a wall between Mexico and the United States. In the days thereafter, as one would hope, everyone from Ben Shapiro to Jorge Ramos and Paul Ryan to Hillary Clinton channeled their inner Sam Harris, condemning Trump’s tribal suggestion that a person’s bloodline is relevant to whether he or she can do what any fair judge must do. The quest to transcend tribalism at such moments puts on display the best in us—and we should follow the same instinct in every conversation that presents a similar opportunity to push back against such thinking. For the sake of opening our public debate to new voices with new ideas, especially, it’s the right thing to do. I count my own voice among those entering the public marketplace of ideas, where I have had to contend with the tribalism that Harris resists. Ezra Klein’s assertion that identity dictates belief, easily leads to the kind of tokenism I’ve combated within my own life as a thirty-year-old, black man who also happens to be a lawyer, professor and writer. My efforts to be heard are made more difficult by people and institutions that welcome a single perspective or ideology on behalf of an entire identity group, and then pat themselves on the back for being satisfactorily inclusive. Like many others, I must break through this tokenism to be understood as distinct from others who may look like me but don’t share my morals or politics. At the same time, I always must be vigilant to ensure that others do not perceive or cast me as a spokesperson for my race or gender. I’m not competing for a job that I don’t think should exist in the first place. Given my theme, careful readers will note that my decision to reference my own identity in these last few paragraphs presents a certain (unavoidable) irony. But then again, I’m not arguing that transcending tribalism means we have to turn a blind eye to the way identity works in our lives. Rather, transcending tribalism means striving for those valuable moments when each of us is “just a human being who is worried about the future talking.” Even if those moments prove elusive, it is the effort to reach them that shows our good faith, and open mind, in engaging with the world around us. I wish you hadn’t mentioned your race. I found the article well written, and the fact of the authors background neither adds or detracts from the quality of the article. Every time I hear the phrase “people of color”, I throw up in my mouth a little. As a dude of color, I too throw up in my mouth a little every time I hear myself identified as such. I’m an individual, end of. You better not be a terrorist, you have a terrorist name. I am sorry, but your comment is absolutely vile and uncalled for. The last paragraph preemptively deals with those woes. It’s quite glib to conclude that, because one speaks against tribalism or identity politics, bringing up ones race is intellectually dishonest. On one side Sam Harris et al. as supported by Jamil Jivani, want people in general to be able to speak and act as individuals, without being typecast or otherwise inhibited, devalued or over-valued in the minds of others due to whatever identity group(s) they are perceived to to be a member of. They urge other people to try to think and respond in this way. They try to do it themselves, but as far as I know, they generally don’t claim with absolute certainty that they can achieve this. They generally strive to avoid any bad outcomes which might result from their own thoughts and feelings being influenced by their own background, but as far as I know, don’t claim to to reliably achieve this in general, though they may make absolute claims of success in specific instances. They envisage the world being a better place if more people thought, felt and behaved in the ways they propose. On the other side, Ezra Klein et al. seem to believe that it is impossible for anyone to reliably transcend their tribalism – for their thoughts, feelings and their actions (or the impact of their actions, given that the same act performed by people from different identity groups may have different impacts due to how many people think about said groups, or for some more intrinsic reason) to be free of whatever biases or other constraints, privileges etc. inevitably result from being a member of such a group. I think that Harris, Jivani et al. believe that, with effort and care, people can “transcend their own identity groups” with sufficient reliability that other people should be encouraged to accept that this has been achieved, however tentatively and imperfectly, and therefore stop boxing the first person in by whatever the other people believe is required to properly evaluate and decide what to do with the utterances and other actions of persons who are members of said groups. I think that Harris, Jivani et al. agree to some extent that there are tribes, “identity groups” or whatever and so are on the lookout for how this might hinder or perhaps help them achieve any particular goal. In this case the goal is the pursuit of truth and the promotion of good, however these are defined. They object strongly to any individual being boxed in by the thinking and actions of others which result from those others’ beliefs about whatever identity groups the individual belongs to. I suspect that for Klein et al. outcomes are what matters, and truth is defined as that which leads to desirable outcomes. For operational purposes, this means we should only discuss ideas – or allow them to be discussed – when according to “our” current conception of the world, these ideas are likely to lead to outcomes which “we” currently consider to be good. So Harris et al. are the ones who really took to heart the process awareness which came with post-modernism. To them, current thinking is not to be trusted and is likely to be sub-optimal. To them, current thinking is a partially invisible bog we are trying to arise from, but the sticky mud tends to cloud our visions and constrain our attempts at movement in ways we cannot always perceive. Klein et al. took process awareness and applied it primarily or wholly to groups. To them, every group has its biases and no group member can reliably transcend them. So every utterance and action of a person should be regarded entirely within the context of their one or more such groups or tribes. I think that Klein et al. didn’t get the part of the process awareness which requires self-reflection and openness to new ways of thinking which at first appear threatening to current beliefs and values. I think of them as illiberal conservatives. Thanks to the recent article “In-Groups, Out-Groups, and the IDW” by Jacob Falkovich, I think of Harris et al. as decouplers and Klein et al. as contextualizers. Here is an obviously oversimplified summary of the differences between these two schools of thought. The decouplers have a much greater faith in the power of individuals searching for the truth to bring about better outcomes than they do of said individual’s efforts being self-censored, or otherwise explicitly suppressed, ignored or reinterpreted according to the beliefs of the contextualizers – especially regarding whatever groups or tribes the contextualizers decide the individual belongs within. The contextualizers see history, present and future as a battle for power, in which certain groups have undeservingly prevailed. They regard the identity groups as having such pervasive power (even power which is invisible to almost everyone) that they should never be ignored. So individuals trying or claiming to have transcended said groups are delusional and therefore dangerous to the point that their views should be suppressed, re-interpreted or otherwise not taken seriously. The decouplers are well aware of the tragedies and (what are arguably) the crimes of history and the present. They see quite a few of these resulting from the blinkered, self-thought-policing groupthink and/or the mob rule of contextualisers. They would probably promote the individual and the striving for truth just because they like these, even if these didn’t reliably result in better outcomes. They are optimistic enough about their fellow humans to believe that these will lead to better outcomes. They have personal experiences in which the contextualisers attack or otherwise devalue or inhibit their attempts to think freely and speak for themselves as individuals. I think that prominent contextualisers see it as a good day’s work when they have instilled guilt and doubt into the minds of wrong-thinkers – a productive transaction in the guilt economy which helps to relieve their own burden of said substance. Full disclosure: I am an Amoeba, recently arrived on Earth in a meteorite ejected by bolide impact on my home planet – where matters of gender, race and species are fluid and the source of everyday amusement to the proletariat, and where optimism generally prevails, even for humanity. Why don’t you stop Amoeboid-spreading all over our comment sections and leave some room for POC? I liked the decouplers/contextualisers concept and I believe it ties in with Peterson’s view that there is the Real World and the Relevant World. I’d say that the real world is based on (provisionally) absolute facts and the relevant world on relative opinions. The tricky bit is that we, as humans, are constrained by biology and social context to live as if parts of the world are relevant. It’s how we respond and behave to events, and includes tribalism and so forth. The second tricky bit is that some of the opinions in the relevant world are not life affirming and affect different people in different ways. The final tricky bit, which I think speaks to the Munk debate, is that some contextualisers believe that they should deploy the Noble Lie (see wkipedia) of political correctness and identity politics for the ‘greater good’ – and this is anathema to the decouplers. And vice versa. I guess I’m a decoupler because I believe that facts are facts but lies (however Noble) are destined to become increasingly harmful. How we respond to those facts *is* relevant, but at least the wild flights of fancy are restrained to what is real. Surely noble lies have helped lead us to this political climate and president. I fear that this discussion leaves out the obvious elephant in the room. One side, no matter how biased or how determined to overcome it, is open to rational dialogue. The other – deems dialogue impossible and reduces the argument to a never ending power struggle. Excluding from conversation or public life is never enough. Post-modern radicals (or “contextualizers” as Mr. Whittle calls them) draw a nebulous and unclear border to what they are prepared to do with classical liberals like Harris or Peterson once able to “de-platform” and isolate them politically. It may well be that the presumed improvement over Stalinism would be the notion that we could wait for them to commit suicide or in the worse case scenario to wait for them to die to complete the re-adjustment of political power that excludes their particular tribe and assumes that all other tribes can co-exist interacting strictly rhisomatically (to use a beloved post-modern term). The “Noble Lie” idea draws its legitimacy only from political pragmatism, but offends the core ideas of the Enlightenment and an end to the Age of Reason. The ethos of post-modern political structure could be summarized as: “My bias is superior to yours and must prevail and, in case you don’t quite understand where I am coming from – hurry up and die!” This is not mere academic barter. Instead is a cancer that is destroying from within the foundations of the Western Civilization and is on the verge of metastatizing. Great comment! The outlines are starting to come into relief. Articulating something accurately makes it concrete, which can then be dealt with. I believe most political debates would evaporate if people brought themselves to verbalize their fears of losing. We’re all human, and we can sympathize with that. Well written article, and well written comment synthesis,… for an Amoeba. I’m enjoying the insightful intelligence of both. I listened to the conversation between Harris and Klein. At the end, I wondered why anyone would bother trying to talk to Ezra Klein at all. Ditto. Klein just sounds like a dishonest hack IMO. All humans have a skin color. I’m about 30 minutes into the podcast with Klein and I dislike him already as somebody who completely disavows his allegiance to the religion of political correctness. And Sam Harris (a PhD) is several orders of magnitude smarter than the upstart Klein. And Sam Harris (a PhD) is several orders of magnitude smarter than the upstart Klein. You know Sam is smarter because he has a PhD? Do you have or are you working on a PhD? Are you being tribal or just arrogant? are you attempting to say that if Sue had a phd or was working on one that would give her some credibility to discuss the relationship between phd’s and intelligence. who is being tribal/arrogant now? the fact is ezra doesn’t have a doctorate while sam does. and it isn’t unreasonable to notice the connection between their level of education and the quality of arguments they present. Best comment by far! That last sentence says it all. Having a PhD is not an indication of intelligence- it’s an indictation of education. We can (maybe) infer their levels of intelligence based on the evidence of their ability to form arguments and identify patterns. But attainment of a PhD is far more indicative of work ethic and (perhaps) opportunity than intelligence. Amoeba! Thank you for setting out the ideas as you have. Your writing has helped my understanding. So Harris isn’t tribal because he discusses specifically profiling Muslims and believes black people are genetically less intelligent? How does that work? Harris doesn’t discuss airport security in general and he doesn’t discuss profiling Jews or Christians or other groups of people. His signalling out of Muslims is exactly because of what you consider “tribal” thinking. Why else has he signaled out Muslims for over a decade? And Harris didn’t even change his mind about profiling Muslims after the security expert he tried to debate decimated everything he brought up. He only let the security expert guest post because he wanted to maintain a semblance of impartiality which has thrown out lately with his refusing to release podcasts with people he feels went poorly. Ezra Klein is entirely right when he points out that Harris is pretending to not have any biases about this when he certainly does. It’s a testament to how little this article is thought out when Ezra Klein, who brought 4 IQ experts in to the discussion about Murray’s book, is labelled as “tribal” yet Harris, who only listened to Murray who is himself a political scientist, isn’t. His point was simply that some people are likelier threats than others – a claim which is irrefutable – and that the allocation of security resources should reflect this. Also, as I recall, Harris included himself among the group that should be more heavily profiled. If he’s engaged in tribalism as you claim, it is to his own detriment, then. Indeed. If Muslims are a 1 in 80 million security risk per transit, the Mormon Tabernacle Choir is 1 in 80 billion security risk, obviously improving your efficiency by orders of magnitude is more efficient. That these are all low probability events in general should impact our view of the necessity of the TSA generally, not profiling. The rest of the persons argument is that if security is so ineffective why are we even bothering. I agree. I’d abolish the TSA. I’d rather take my changes then deal with the humiliations. That doesn’t change the profiling argument. I see you couldn’t read anything the security expert said and wrote in response to Harris because he specifically mentioned that non-random profiling is actually way less efficient and that any terrorist group would actively try to recruit people to avoid the profile net. First, I though you people were supposed to be individualists? So you want to judge Muslims entirely on the actions of the few terrorist groups that happened to Muslim? Second, the likelihood of a single person to commit a crime has nothing to do with people who are so far removed from them that they couldn’t possibly have affected their life. Third, Harris wanted to profile Muslims, Harris is Jewish. There was no way that he was going to get profiled under his proposed profiling and he only mentioned it in order to quell criticism. You are yourself making exactly the same error that Kline makes. Sam Harris is a non-Muslim talking about Muslims, therefore his motivations must be tribal. Sam Harris is a white guy talking about black people, therefore his motivations must be tribal. You don’t even have to investigate his evidence or his reasoning to see if he applies them impartially to all religions and races; just the fact that he is talking about minorities proves that he is being tribal. If you are right, then what is the point of having discussions at all? There’s no impartiality, no individual justice, no equality under the law; it’s all nothing but a power struggle so everyone should just struggle for power and give up the attempt to live in peace. Nice piece. Btw, with a name like Jamil, I never suspected you were a white guy from Utah. Sam does seems to have a bit of an ego and a tendency to take things personally. Neither he nor Ezra are particularly interesting to me. Lots of navel-gazing. That “debate” with Maryam was painful. If he wanted to show to her that some of his views aren’t bigoted, he should have explained his opinion to her instead of trying to have her say sorry to him. He came across as terribly childish. Since Sam’s opinions are widely publicly distributed and easily available, I think he felt that the onus was on her to NOT call him a bigot rather than on him having to re-iterate his opinions which she could have learned with five minutes of google searching. I think even more importantly it boils down to, do you want to live in a world where it is the responsibility of the accused to proof that they are NOT a bigot? I think if you really sit down and think about it, you will come to agree that it is a much more pleasant world if the burden of proof rests on the person who is making the accusation. Did you really consider Schneider’s reply to be a refutation of profiling? His numbers are utterly specious. – He avoids the real logical comparator required (of Muslim terrorists who look Semitic vs Muslim terrorists that don’t vs the general population which are/aren’t semitic-looking). – He assumes that finding people willing to be terrorists who don’t look semitic or are unwitting carriers would not impose opportunity costs on terrorist organisations. – He assumes Muslim anger at profiling would manifest as anger at the profilers, rather than the terrorists. – He minimises the inconvenience and ultimate economic cost of screening people who aren’t terrorists, and fails to apply the same “anger at the profilers” rationale to the general population. Brilliant! A nuanced and (I believe) correct reading of the Klein-Harrison debate. The notion of our experience being blocked off from those of different tribes also appears to be logically self-defeating, since if I can have never truly know (or even gain approximate knowledge) of what it is like to be from your tribe, then similarly you can never know what it is like to be from mine. Since communication is impossible, debate is rendered meaningless. Another interesting point is what appears to be a sudden interest on the left in the ideas that can be found on websites like this. The great pendulum of American democracy has reached its apex and begun to swing slowly back towards the center. Progressives may yet rediscover liberalism, and in doing so chart their path back to the corridors of power. Regardless of whether you agree with this author’s piece or not, certainly it’s brilliantly written. Just want to clarify that Trump called out District Court Judge Gonzalo Curiel because of his membership of La Raza rather than just his ethnicity. Being a member of La Raza says something about the judge’s beliefs and therefore possible bias, rather than a tribal identity. If you think Michelle Goldberg just “watched on as this increasingly toxic exchange [Dyson throwing a race attack card at Peterson and his efforts to use it as an exemplar of what is toxic about certain forms of discourse] dominated the night”, then you watched a different debate than I did. Indeed, throughout the debate it was Goldberg who continually brought race and identity into the discussion, Peterson (deliberately or unwittingly, it’s unclear) gets drawn in and continually responds, and Dyson treats the exchange opportunistically, eventuallly landing what he seems to believe to be a telling blow in his “mean white man” slur. Only Fry seems aware of how far the debate had strayed from its original conception — or the basis on which it was defined. It was not about race or identity politics, at inception, although obviously these are essential but peripheral matters in the whole matter of censorship under political correctness. Although I regard Fry’s position in the debate as technically the most correct, I also think he’s hopelessly naive to believe the discussion would not go there, and he left his debating partner Peterson to largely fend for himself on that ground as he wanders around loosely gripping his sword, asking when the battle is going to begin? Fortunately Peterson was more than adequate to handle the 2-on-1 that ensued. The spectacle that we saw was something of a microcosm of the general debate about political correctness, and is worth condensing as a template for discussions going forward. Here I loosely (and as the author notes, inaccurately) identify the participants as “Left” and “Right”. L: You’re a bad person. I know of several liberal podcasters and commentators who would love to be invited on Mercer funded shows like that of Harris or Rubin. But they never have been and they never will be because it isn’t about having an open forum of free discussion. It’s about promoting an ideology while *pretending* to be all about free speech. The Right despises free speech and they say so publicly but they are perfectly willing to use the freedoms afforded by liberal democracy to their advantage. Until they get into power. At which point you can kiss all their former cries of wanting a free marketplace of ideas goodbye. You say the fact that your blogger friends haven’t been invited on Harris’s or Rubin’s podcasts prove that they’re not interested in open dialogue and that they’re only promoting an ideology. Does the fact that I haven’t been invited on your friends’ podcast prove they’re not interested in open dialogue and that they’re only promoting ideology? Maybe this is a bad line of reasoning altogether. I’m also having trouble squaring your second paragraph with your first. You imply that Harris and Rubin are on the right and that they’re pretending to favor free speech. Yet in the second paragraph you say the right hates free speech and says so publicly. Which is it? Does the right publicly claim to hate free or publicly pretend to support it? As for the right in power, well, it’s in power across the board in the U.S. right now. In fact, I hear from many a good leftist that Trump is a fascist. Yet it’s only on university campuses controlled by the left that speech is suppressed. How do you explain the fact that the right is in power (and has been in the U.S. for most of the last century) yet has not brought about its masterplan to crush free speech? And how do you explain leftist redoubts restricting free speech? Should it not be the other way around? So right now they are what, waiting for Trump to go? The Right are in power. They aren’t shutting down campuses. Harris’s central issue was with Klein’s apparent principle that the speech of some ought to be suppressed in deference to members of identity groups by any means necessary, including through character assassination—attempting to incite an internet pile-on by denouncing disfavored speakers as “racists,” as Klein did to Harris. It was the bad faith incitement the pile-on that I understood to have been the principal basis for Harris’s objection. But what is the endpoint of Klein’s principle? If the proposed process is to preclude by such means any speech but that of identity group members regarding their “experiences,” and such others as Klein indulges, what is the goal and how is it achieved? No course of action, much less any remedy is suggested by subjective recitals of such “experiences” per se, and certainly not without explication of the relevant interpretations of those experiences. But, the range of experiences and interpretations even among African-Americans is exceedingly broad—from Ta Nehisi Coates on one hand, to thinkers and writers such as John McWhorter, Glenn Loury, Thomas Chatterton Williams, and Mr. Jivani, on the other. Do supporters of the Klein viewpoint believe members of the latter group should be shouted down as well? What would be the organizing principle of that selection process? Do those who agree with Klein believe members of the latter group of thinkers and writers will simply go away, and, if so, what is the basis for that triumphalist assumption? Related to the last question is why Klein & Co.would imagine that they will prevail by attacking as “racists” those who bring different perspectives to the discussion–even those, such as Harris, who expressly espouse the goals for which Klein purports to advocate. Whatever appeal the Klein policy of shutting down discussion has within the relatively narrow segment of the left that he occupies, how does it play as a tactic on a larger stage? In recent years, there have been many calls for a “national conversation on race.” If that conversation is going to be one-sided, as Klein apparently prefers, at what point will large numbers of Americans simply turn away from issues of race in despair? Did the left learn nothing from the 2016 presidential election? The alt-right is all-to-happy to have many lines of debate drawn on the basis of race. It is not even necessary for the alt-right’s numbers to actually swell for their position to be strengthened. In a deeply divided nation beset by retrograde leadership, the alt-right would be greatly strengthened simply by the non-ideological American middle turning its back on race-related goals and issues, rather than be silenced by unfair accusations of racism. Most people will not engage in the masochistic process of Stalinist self-criticism in the absence of the Stalinist machinery necessary to impose it. Moreover, not everyone has Harris’s forbearance or his reserves of good will. In insisting on a party line regarding discussions of issue of race in America, the left, yet again, is refusing to look at its hole cards. You must have “forgotten” to mention the reason Trump raised the question in the first place was because the judge in question belonged to a racist lawyers association called “La Raza Lawyers of San Diego”. La Raza translates as “The Race”. There is no avoiding that fact. Consider whether Trump would have faced questions as to whether he could be “fair” if he belonged to an organization such as “The Proud White Builders of NY”. President Trump has defined his “tribe”, again and again. Only those with the TDS seem unable to notice. His tribe? American citizens of any and every colour. The “La Raza” link was only made well after Trump’s initial blatantly racist tweet. “La Raza” can also be translated as “The people”. The the motto “For The Race everything. Outside The Race, nothing.” is certainly disturbing, but as far as I can tell it is the motto of an affiliate association and the motto dates from the radical 60’s. they might want to update that. You may offer excuses but the fact remains that La Raza is a blatantly racist symbol. Full stop. Suggesting that President Trump did not know EVERYTHING about said judge BEFORE his comment (hence the very reason for his comment, however awkwardly verbalised) means nothing. He makes it a point of knowing the weak spots of all his foes. Care to source what is really just a scurrilous racial slur? While you’re doing so, perhaps you would care to examine Donald Trump’s 70-year reputation prior to walking down that elevator? Even the usual race baiters thought he was a great guy. There was never a hint of racism about him. Who was it that first let blacks and hispanics into their exclusive clubs in Miami? Oh, that was Trump, the racist. To a Democrat a racist = anyone opposed to them. Surely you’re not mindlessly buying what they’re selling? Good article, but it felt like you lost your way at the end. Harris was not wrong in his statement that, “We should profile Muslims, or anyone who looks like he or she could conceivably be Muslim, and we should be honest about it.” Hard to believe that you don’t mention that he includes himself in that group. His point was that we waste our time treating the 75 year old black woman the same as the 30 year old white male at TSA – one of those should be profiled based on mountains of evidence. This is a much more powerful point than you’ve let on. If Klein is correct, that we cannot overcome our toxic racial tribalism, then the entire justice system, the educational system, all of the sciences, and any enterprise that is premised on objectivity, are all hopelessly corrupt. Justice cannot possibly ever be served impartially, the scientific method is worthless, all such endeavors are just racial politics wielded to empower a certain race in disguise. I’m going to hazard to guess that this reductio ad (hopefully) absurdum of Klein’s worldview is wrong (though I’m sure there are some radicals who do think these institutions are irrevocably corrupted by racism). I think that there are cases where we do mete out justice impartially, that there are results of scientific investigation that yield accurate results, and it thus follows that Sam Harris, just like the honorable Gonzalo Curiel, is able to argue certain points dispassionately regardless of his racial identity. This is a well written article. But I ask myself this question… besides college students and college professors, who has the time to think about this issue in depth? People working 40 hours a week and raising kids have to solve problems in the real world. They don’t have time to ponder over issues which they have no control over. Right. It’s the other moments when just tribal human beings are done talking that concern us from time to time. It’s ironic to use Coates as an example of a fair critique given that Harris refuses to have him or people like him on his podcast. Can be basically all just agree that blacks are kind of dumber than whites? The data brought forth proves it. Doesn’t mean black people are bad, or lazy or whatever, they can’t help it. A lot of them can still do well, who cares? Well written and thoughtful. I enjoyed this thank you.